The Royal Institution of Chartered Surveyors (RICS) latest survey indicates that rents could escalate by as much as 15% over a five year period, as a ‘perfect storm’ of diminishing supply of rental properties, combines with increasing demand from tenants. 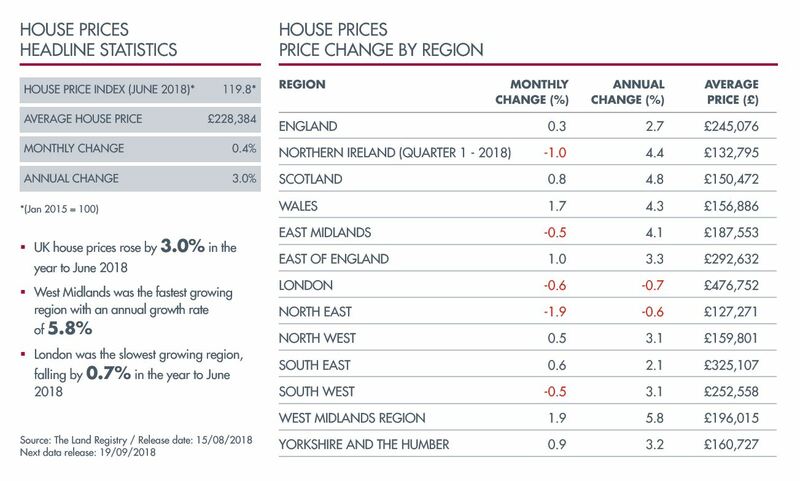 RICS estimate that rents will increase by up to 2% over the next twelve month period alone. Many current small buy-to-let landlords are selling their properties as a result of tax changes, which have made buy-to-let a less lucrative prospect. Simultaneously, an increasing number of people are looking to rent, largely driven by a lack of affordability to purchase their own home. Almost a quarter of the survey respondents (22%) reported a decline in new landlord instructions over the last quarter, making it the eighth three-month period in a row that the number of rental properties has fallen in pretty much every region of the UK. Last year, applications to build an additional 35,000 homes on green belt land were submitted. This takes the proposed construction of homes on protected land to 460,000 – a record number. In the last nine years, more than 24,000 homes were built on green belt land in the UK, according to data from the Campaign to Protect Rural England (CPRE). The data also reveals that the number of homes constructed on green belt land nearly doubled in 2017 to over 8,000 properties, with 3,300 on previously undeveloped land and 4,800 on brownfield sites. The developments represent a small proportion of green belt land in the UK. The 315 hectares built on last year represents just 0.002% of the UK’s 1.6m hectares of green belt. The government has pledged to protect green belt land, however housing campaigners believe more controlled land could be released to build much needed new affordable homes. The CPRE data suggests that the majority of properties built on greenfield green belt land is in higher price brackets unattainable to many buyers. Interestingly, since 2009 just over a quarter (27%) of homes built or approved on greenfield land fell within the government’s definition of affordable housing. According to data from Zoopla, residents of Britain’s major cities are most likely to look for new houses in quiet residential areas in the suburbs and by coastal towns, in close proximity of a city. House hunters in the capital are keen on coastal properties in Margate, Kent and Wimbledon in the South West suburbs, where the average house price is currently £804,500. The most popular searched-for area by Edinburgh residents is the seaside county of Angus, east of Dundee. Newcastle dwellers are keen on the southerly lying coastal town of Peterlee, while Liverpudlians favour Skegness in Lincolnshire.